"If you are hoping to see the Northern Lights in Ireland just get a few minutes outside of town and the sky should be dark enough for them.While the lights usually look green and red, from here they may look more like a glowing white light to the naked eye because they are so feint.And you would love the experience. 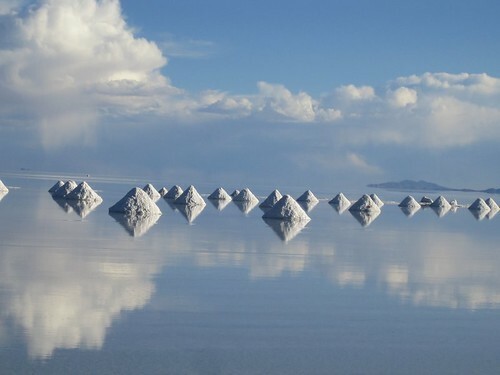 World's largest salt lake known as Salar de Uyuni (Uyuni salt flat) is a visually captivating place, one of the most stunningly beautiful places you will ever come across in Bolivia and South America. A surreal vision in the Bolivian Altiplano created by amazing geological formations, geothermal springs and brine lakes. Venice is a city in northeast Italy which is renowned for the beauty of its setting, its architecture and its artworks.A best for the romantic gateway. 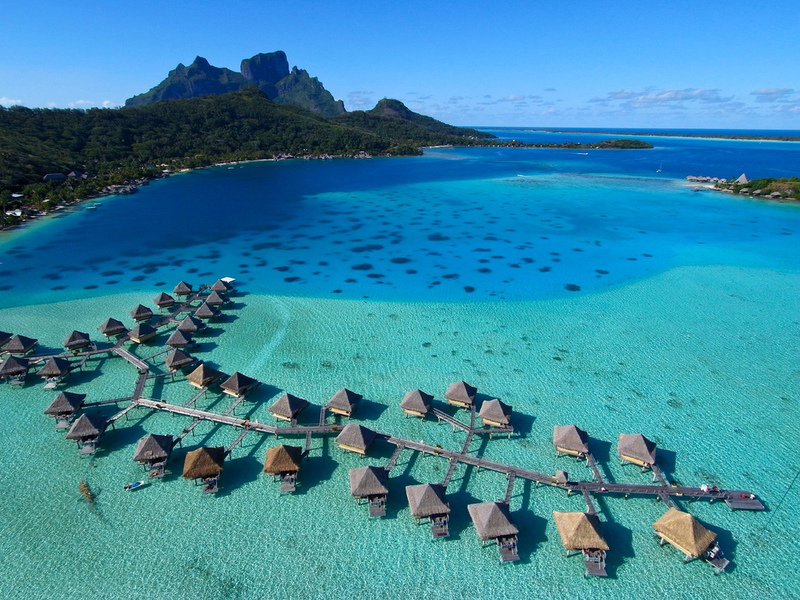 Bora Bora is beautiful and very quiet. 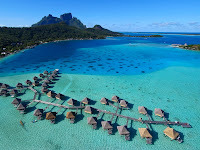 If you like water activities, you will enjoy it greatly. Perfect island for beach lovers. Pamukkale is visited by the tourists from domestic and foreign tourists. In snow-white pool Pamukkale many tourists soak and feel the natural warmth of the water in hot tubs. Holidays in Pamukkale is perfect to spend with family or with people you love. Keukenhof? That’s the place to see spring blossom. The park is unique, world famous, and has been one of the most popular destinations in the Netherlands for sixty years now. Haven’t seen Keukenhof? Then you haven’t seen the Netherlands. You won’t find such an abundance of colours and fragrances anywhere else. More than seven million flowers form a glorious decor for the most beautiful photos. 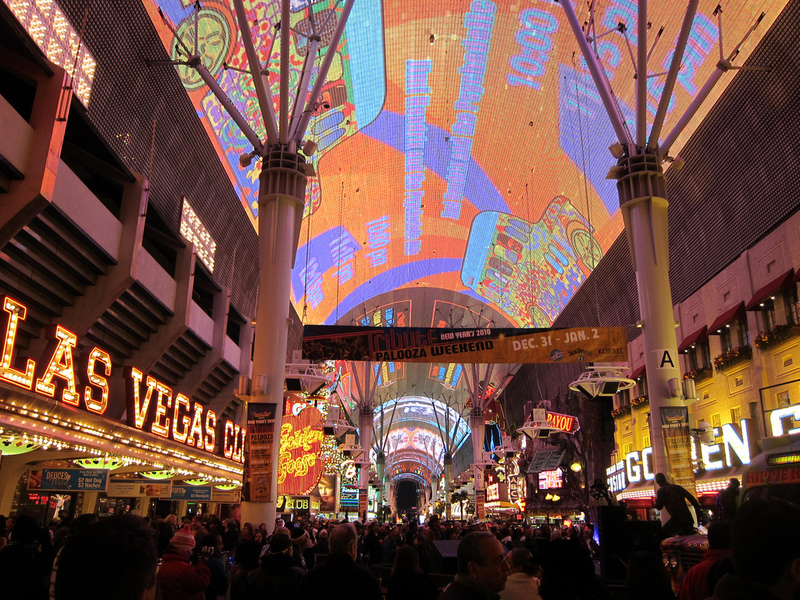 Is it possible to have a romantic getaway to Las Vegas? In a city that is notorious for sin, for boobie tassles and bachelor party strippers, can a couple really find the tranquility and togetherness necessary for romance? Yes they can..Groove at Las Vegas.. 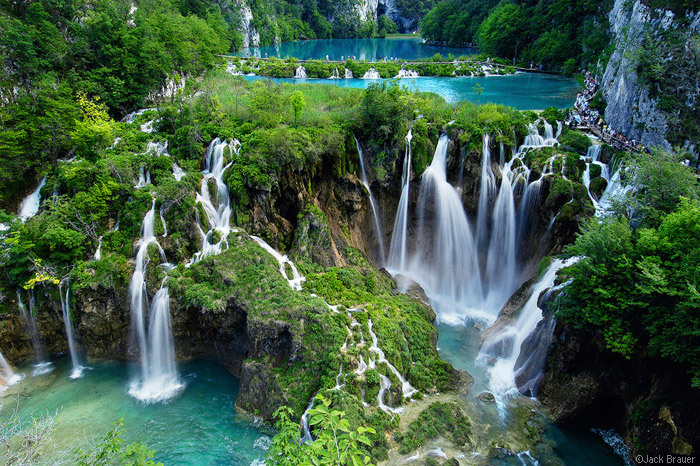 If you dream in lush lakefront landscapes, flowing waterfalls and dense woodlands just steps away from waterfront property, then it’s time to get acquainted with the Plitvice Lakes in the temperate European paradise of Croatia. Picturesque Colmar in France, considered the most beautiful city in Europe, looks like it came straight out of a fairy tale. This tiny town in Alsace is famous not only for its magically colourful old town. Colmar, situated along the Alsatian Wine Route, is called the “Capital of Alsatian Wine” – it boasts a sunny microclimate and is the second driest city in France, making it ideal for wine growing.